I’ll start with a confession. When I first read Virginia Woolf’s famous essay ‘A Room of One’s Own’ in my early twenties, I didn’t really relate to it. Fresh out of university and managing my dreams of being a writer alongside my office day job, I responded to Woolf’s feminist politics, but didn’t feel the necessity of her prescription. In fact, I dismissed it as a middle class luxury. I could write poems in my head while I was doing the filing or making cups of tea. When I worked in a nightclub, I even scribbled down ideas for stories and poems on the backs of till receipts on quiet Sunday night shifts. What use would I have for room? 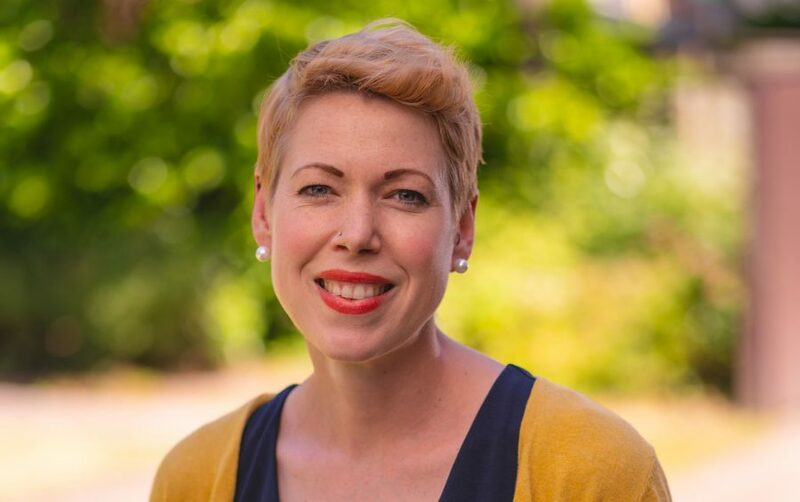 Whenever I tried to introduce even a small element of ceremony or ritual to my writing (creating a ‘writing desk’ at home, or going out to a cafe), I inevitably found myself stuck, weighed down by my own expectations. That was part of the problem: what was really fuelling my resistance was fear. I was afraid that I’d never be able to find proper space for writing in my life and – worse – that I wouldn’t know what to do with it if I did. In the time since I first encountered Woolf’s essay, I’ve found it increasingly difficult to give writing the room it requires in my life. Since publishing my first collection of poetry in 2013, I’ve kept up a punishing schedule off readings, teaching, mentoring and competition-judging, usually juggling numerous freelance commitments alongside a full-time job. I’ve burned out at times. And I’ve often got edgy when people ask ‘how do you find time to write?’, fearing that I was just about ‘getting away with it’. In 2014, I started work in earnest on my first novel ‘Black Car Burning’ (finally due out in April next year!) and began to appreciate the significance of a desk, time and a clear head, to yearn for room. 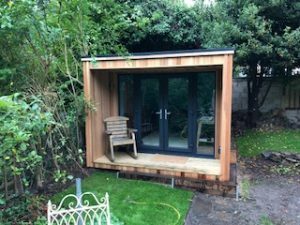 I began to dream about a dedicated writing space, began to dream – and save for – a garden shed. This all progressed slowly (almost as slowly as the novel). But in 2018, I received a major boost thanks to a Northern Writers’ Award for my third poetry-collection-in-progress ‘Failsafe’. I’d sent my work off to the prize on a whim, not really believing it would be chosen: I did it on my lunch break one day when I was exhausted from teaching, feeling anxious about writing being squeezed out of my life. When I learned that the judges had selected me, I was delighted. I knew I wanted to use the prize for something that would symbolise giving more space to my creative life. I’m writing this from my garden office (it’s a bit too luxurious to be called a ‘shed’: double glazing, a tiny storage heater and a sofa). The walls are duck-egg blue and I’m being watched suspiciously by Frida Kahlo, embroidered onto a cushion. I’ve got a medium-sized desk, a slim view of the garden, a kettle for tea and all my books on shelves behind me. Crucially, I have no internet and no mobile phone reception. I’ve already got more work done here in the last few weeks than I have the rest of the year. Virginia, please forgive me. I was so wrong. The important thing, I’ve realised, is not the physical space itself (and that’s all very easy for me to say now that I have a lovely shed). It’s about giving creative writing ‘a room of its own’ in your life, whether that’s through creating a place for it or through protecting your time.